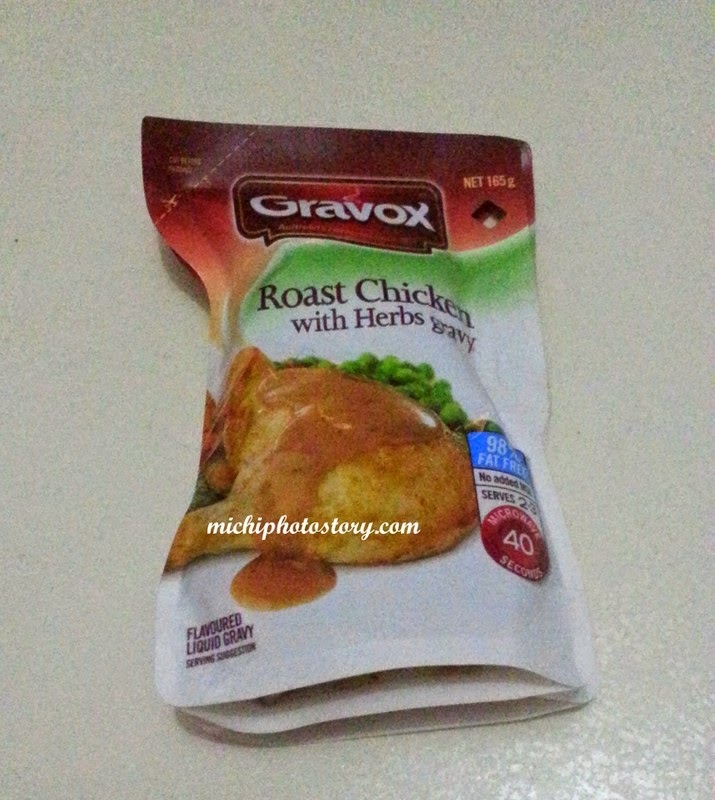 Two weeks ago, my husband saw this Gravox Roast Chicken with Herbs Gravy in the grocery. Me: Ngek, ang mahal naman ng gravy P170, kapresyo na ng chicken. Hubby: B1T1 naman, try lang. So I bought it and I cooked roast chicken this week so I could try the gravy. I tried instant gravy mix before and I did not like it because it is too salty so I was really nervous at baka di rin masarap. The gravy is in liquid form so you can just reheat it in the microwave or stove top. 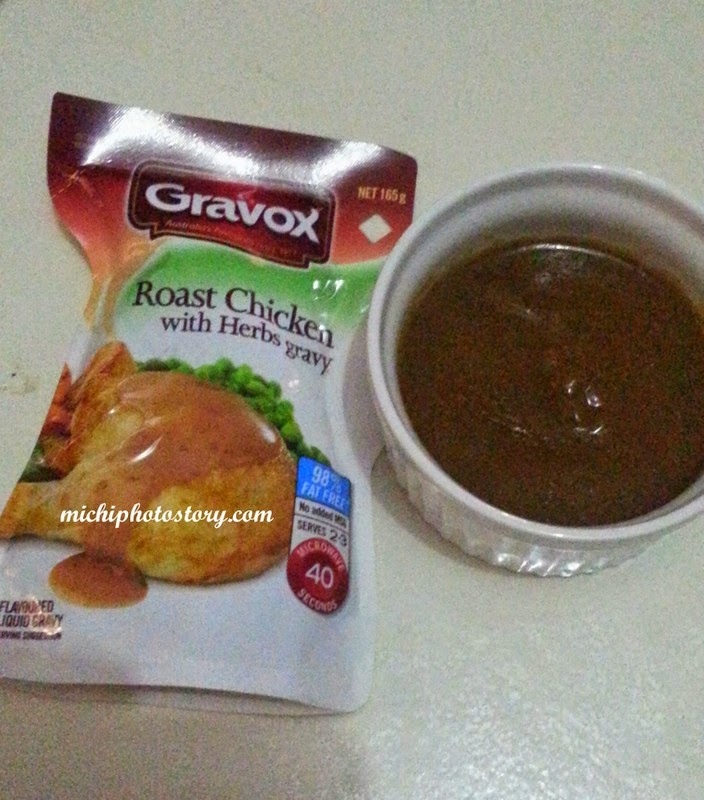 Well, the gravy is just ok but I will not buy this again because it is really expensive for my budget. 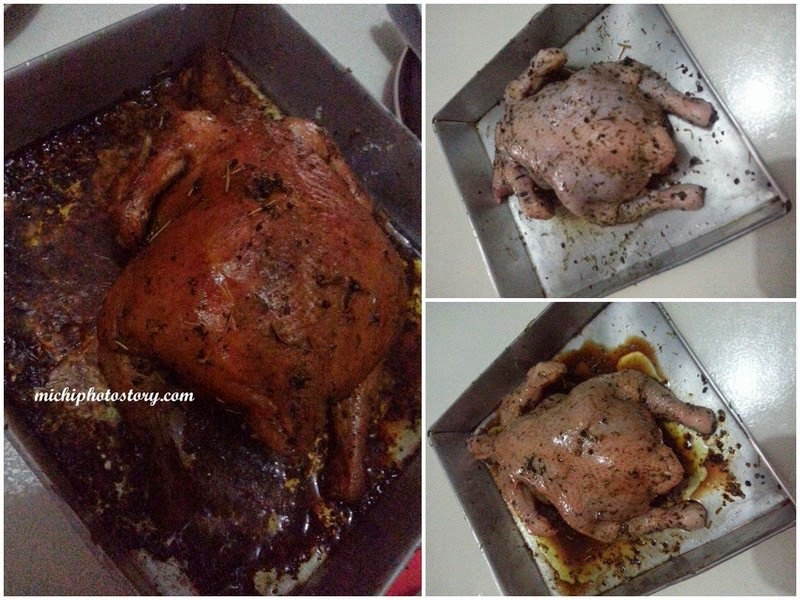 Anyway, I prefer my roast chicken without gravy. Visiting zoo is not really my thing when I was still single but when I had my only son things change. Now, I’m enjoying visiting different zoos in the Philippines. Zoomanity Group is the leading company in theme park industry from Northern to Southern Philippines. It is their goal to give the best ever tourist destination and nature educational experiences. 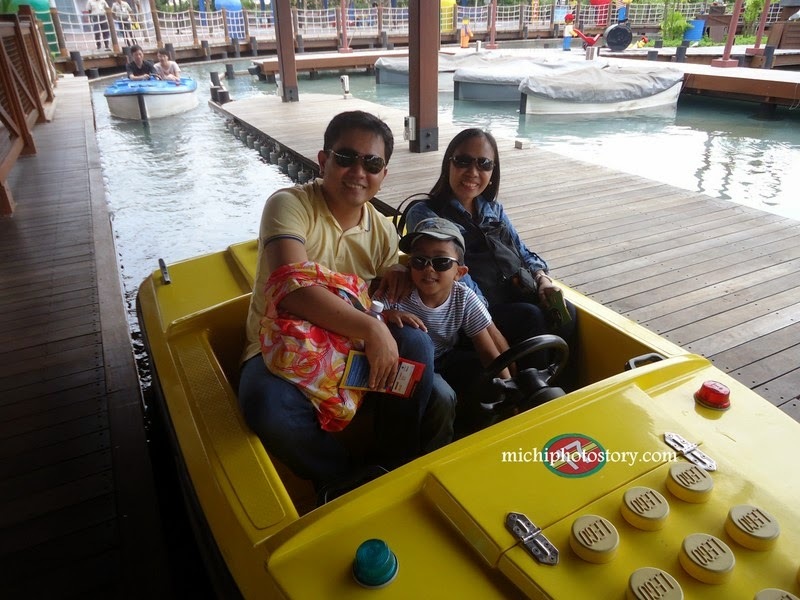 As of now, they have five theme parks that you can visit such as Zoobic Safari, Residence Inn, Paradizoo, Zoocobia Fun Zoo and Zoocolate Thrills. 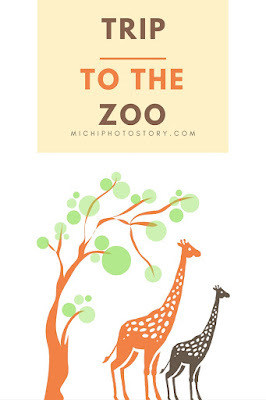 Among these five zoos, we’ve already visited three zoos. I could say that each zoo offers unique experience and excitement. It gives knowledge and happiness regardless of visitors age. The first zoo that we have visited is Paradizoo, we live in Southern Luzon so visiting this zoo is not difficult. Paradizoo Farm is located in Mendez, Cavite where you can see farm animals roaming free. Yes, some animals are roaming free so at first, I was really scared. It is also a garden full of flowers and vegetables where you can select, pick and buy your own vegetables and flowers. 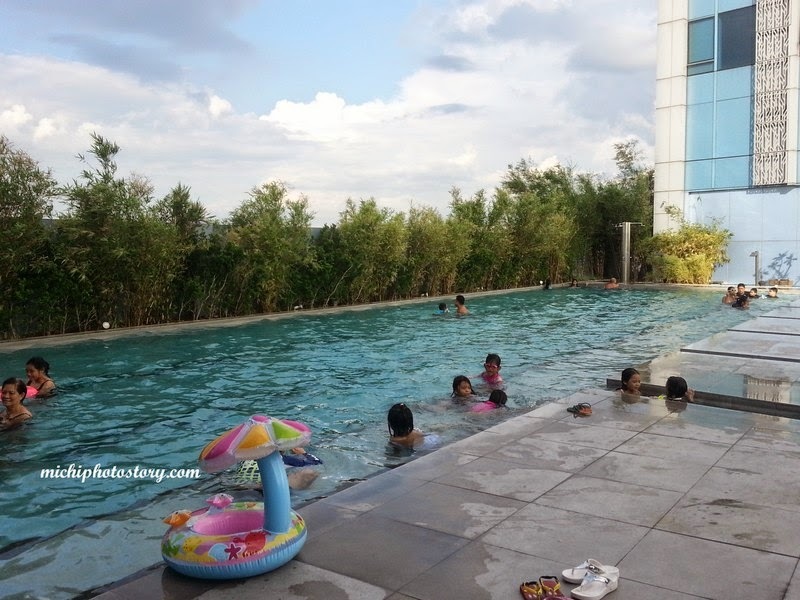 The place is not that big so you can include this in your itinerary if ever you visit Tagaytay. 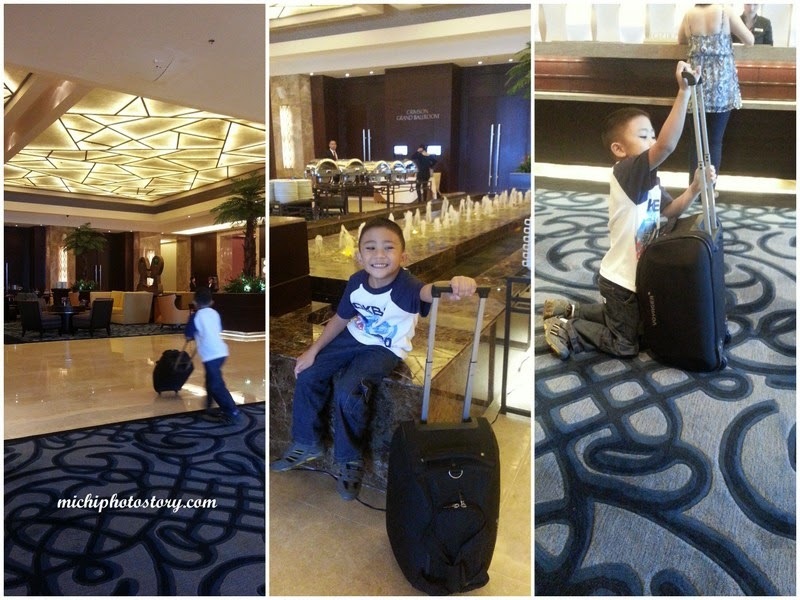 The second zoo that we have visited is Residence Inn which is located in Tagaytay City. The zoo has a moderate number of animal collections that you can see. You can have photo-op with some animals too, but of course, there's an extra fee for that. 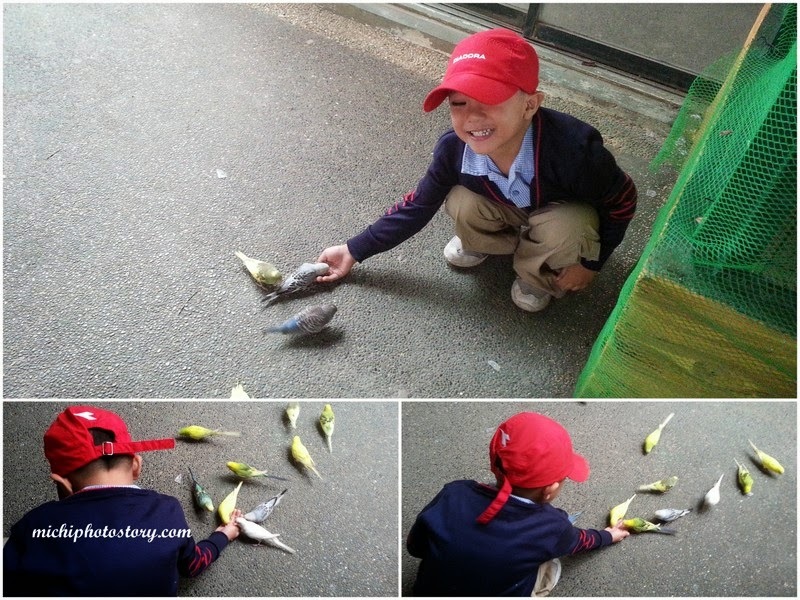 We enjoyed the animal feeding and bird feeding activity. Not only that, there’s also animal show so make sure you check the schedules so you won't miss it. If you are brave enough, try the Zipline. The third zoo that we have visited is Zoobic Safari. Among the zoos, I think this is the biggest, we took the tram to visit the different attractions. Our favorite experience is the Tiger and Lion Safari. It was scary but fun at the same time. We also experienced goat bottle feeding and crocodile feeding. After our tour, we took advantage of the animal show too. The Zoocobia Fun Zoo and Zoocolate Thrills are still on my bucket list and hopefully, we can visit this soon. I love to experience the gravity car because I was not able to try this when we went to Sentosa Resort in Singapore. And if ever we will go back again in Bohol, I will include Zoocolate Thrills in my itinerary. I’m pretty sure that my son would enjoy the trip. 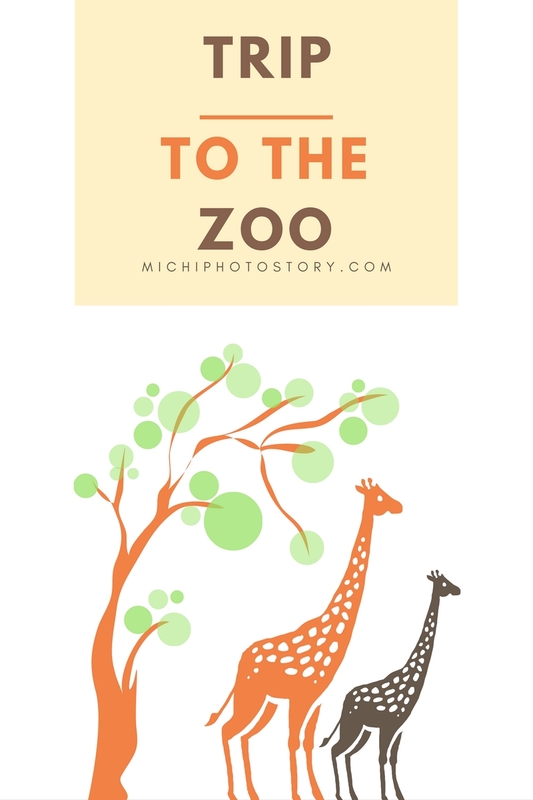 So if you are looking for educational activities, try visiting these zoos because I’m pretty sure that not only kids will enjoy the trip. My son loves watching EvanTube so he showed me the video where the family was baking a rainbow cupcake. He said, mommy, I want to bake a rainbow cupcake, repeat 100 times. 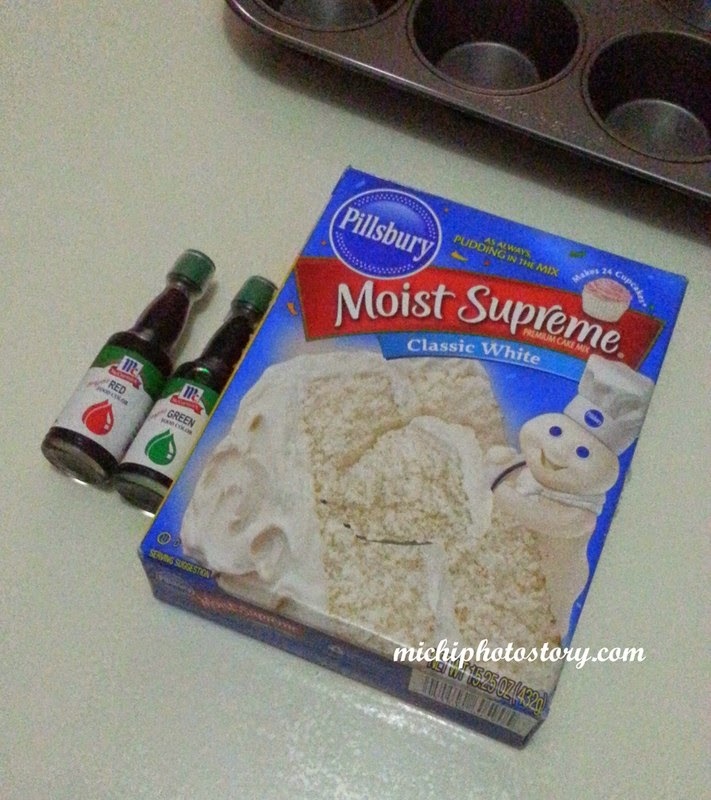 But I don’t have any food color at home so last week I went to the grocery and fortunately I found the Pillsbury Classic White Mix and bought food coloring too. The sad part is there are only two colors available in the grocery. Yesterday, my son saw me reading the procedures of the cake mix and he asked me if we will bake rainbow cupcakes and I said yes. Ethan: Let’s bake rainbow cupcakes. Me: Later pa. Finish your food and we will do your homework first. Ethan: Mommy, let’s bake rainbow cupcakes. Me: Later pa, sa merienda 2PM. Study first. Ethan: Let’s bake rainbow cupcakes. Stop working mommy. Me: Later, I’ll call you if we will bake na. Ending, he locked himself in the room and he didn’t want to bake anymore. 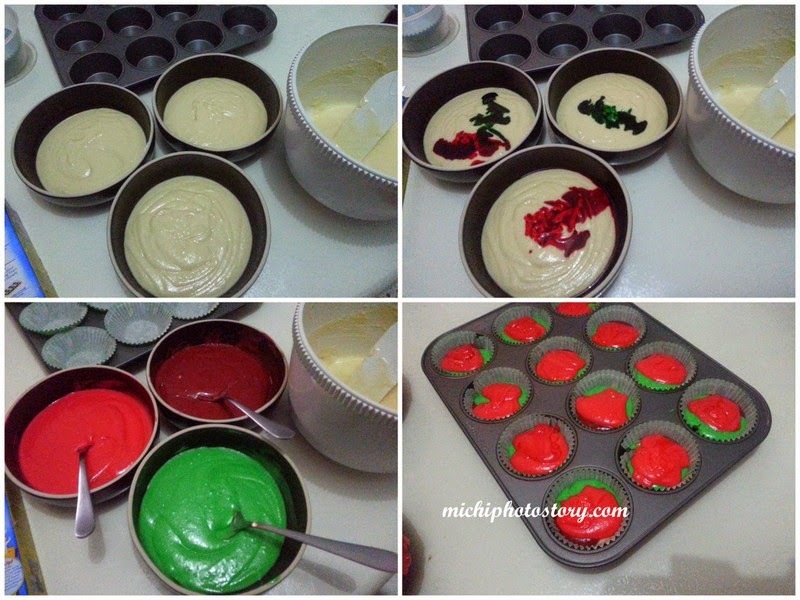 #nagtampo So I bake the rainbow cupcake on my own. When I placed the muffin tray in the oven, I went to the room and persuaded my son to go down and check the cupcake. 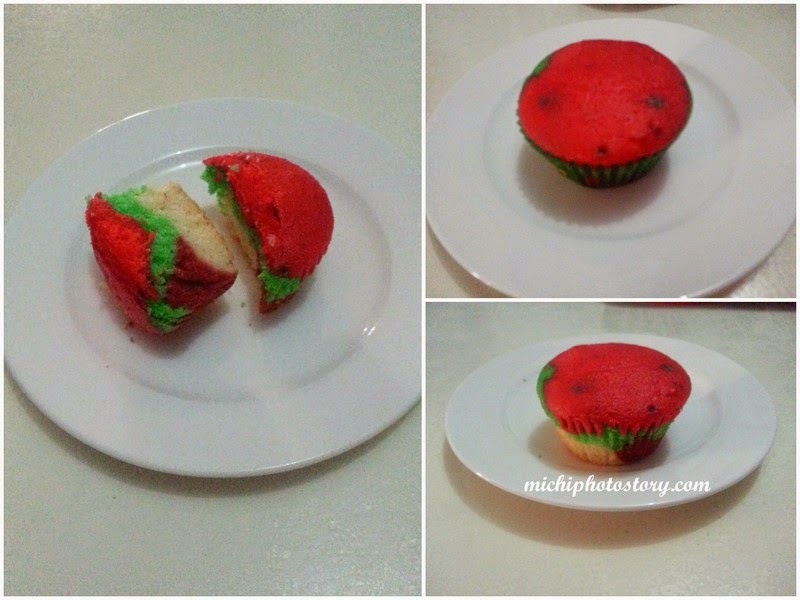 Ending, bumaba din siya and he kept on checking the cupcake in the oven. Waiting for the baking and cooling period to finish. 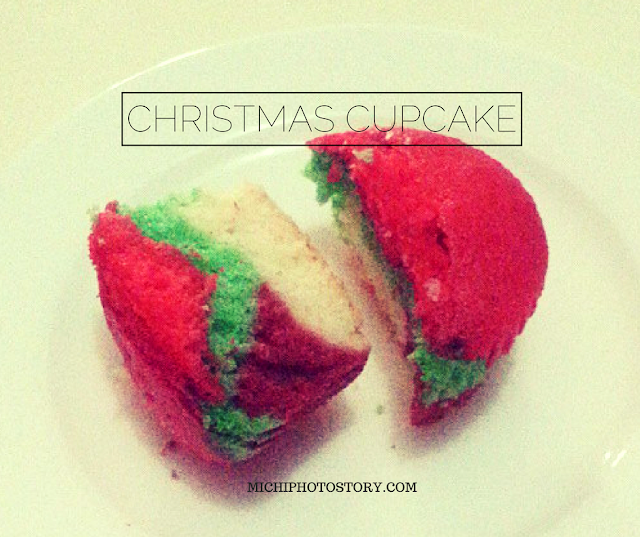 Like I said, I only have two food colors so it looks like Christmas Cupcake but in the eyes of my son, it is still Rainbow Cupcake. We love the cupcake because it is soft and moist. He finished two cupcakes and requested na baon niya yun today. I will go to the grocery again and look for other food colorings so I can bake a real rainbow cupcake. I still have 1 box of instant mix. If you still remember my Typhoon Glenda post, my husband went to grocery to buy candles but the only candles that he saw was this, prosperity candles. Last Saturday was my birthday so I used it. 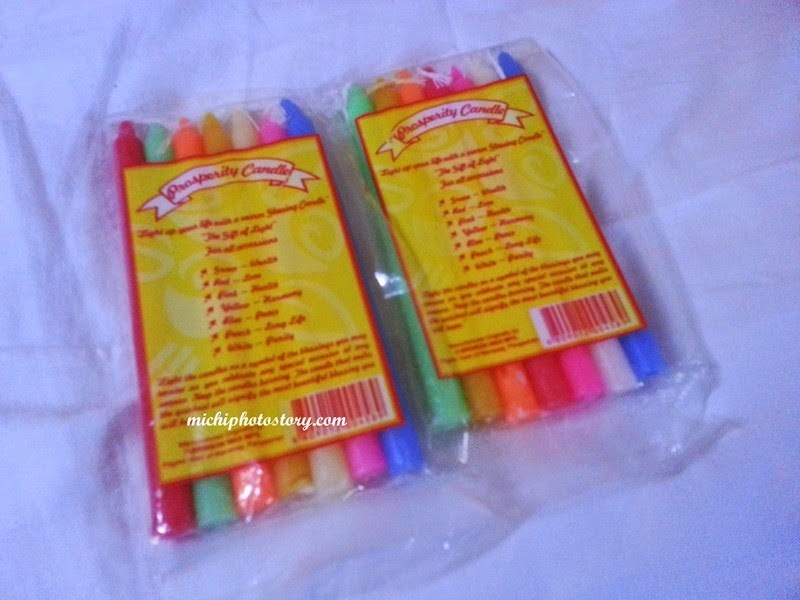 Some people are candle color believer, in fact I also see this in some churches where each color has meaning like in Candle Chapel in Tagaytay and in Liliw Church. 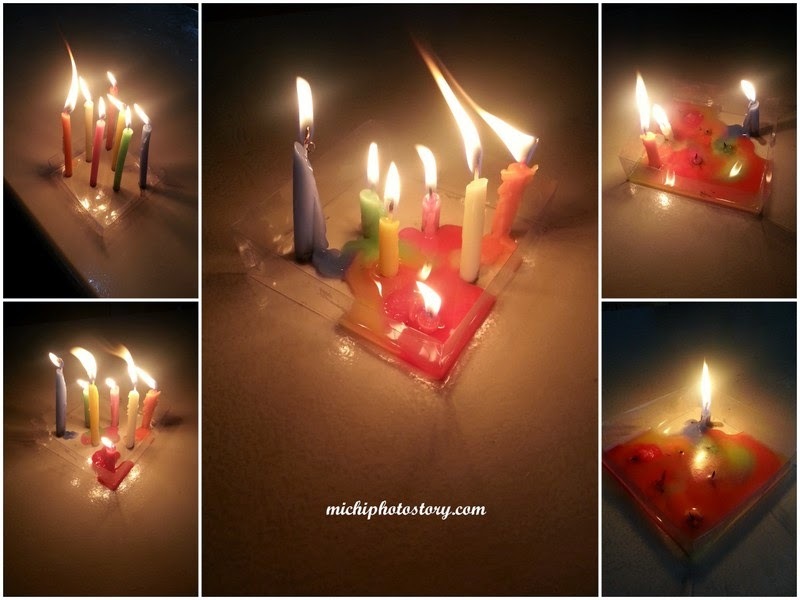 In my case, the red candle was the first melted candle. 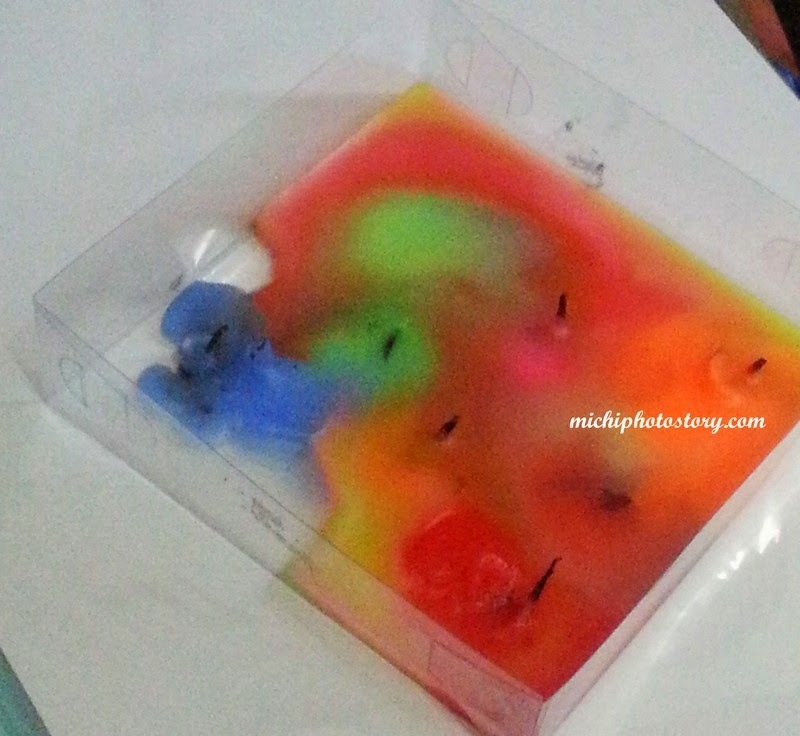 My son said, "Mommy, rainbow candle"
"It is said" Candles, when combined with prayer and faith, can produce miracles. 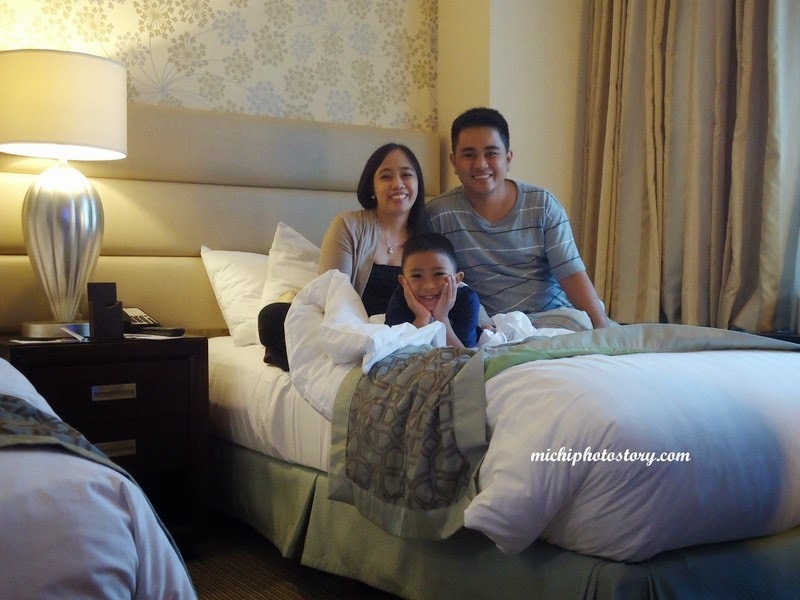 Ten days before my birthday, my husband reserves a room in one of the resorts in Batangas. He called and informed me that he already reserve a room for my birthday celebration. But after two days, he called again to follow up the confirmation letter and unfortunately, waiting list pala kami. So he called last Tuesday to check if there’s any back out guests but he was informed that all guests prepaid the reservation already. My birthday falls on a long weekend so maybe that is the reason why the resort was fully booked. I told him about the Crimson Hotel Rainy Day Promo, he tried to book on the website but he was getting a different rate so he just called Crimson Hotel to reserve a room three days before my birthday. I think it is better to call to avail the promo rate. Fast forward to my birthday, since Alabang is not really that far, we left the house past 12nn. We ate lunch first at home to save money. Hehehe! 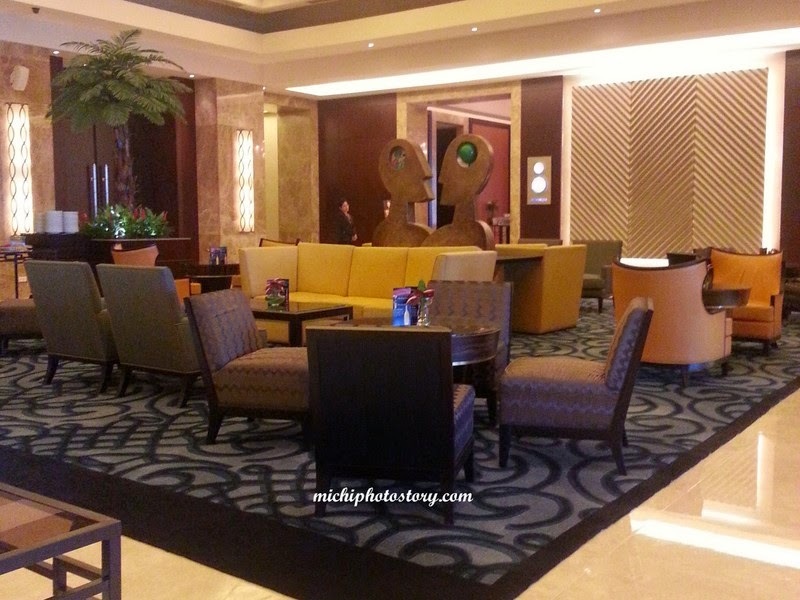 I’ve seen pictures of Crimson Hotel’s lobby but I was still amazed when I saw it up close. Sa sobrang laki, naging playground ng aking anak while we’re waiting for my husband. I thought we still need to wait till 2PM but they allowed us to check-in as early as 12:50PM. Yehey! The staff ushered us up to the elevator door. As always, we requested for king size bed but unfortunately, it was no longer available so we settled for twin beds which is too small for 3 persons. But anyway, we love our bed, pillows and comforter. It is one thing I always look forward in our staycation. Comfortable bed and pillows. 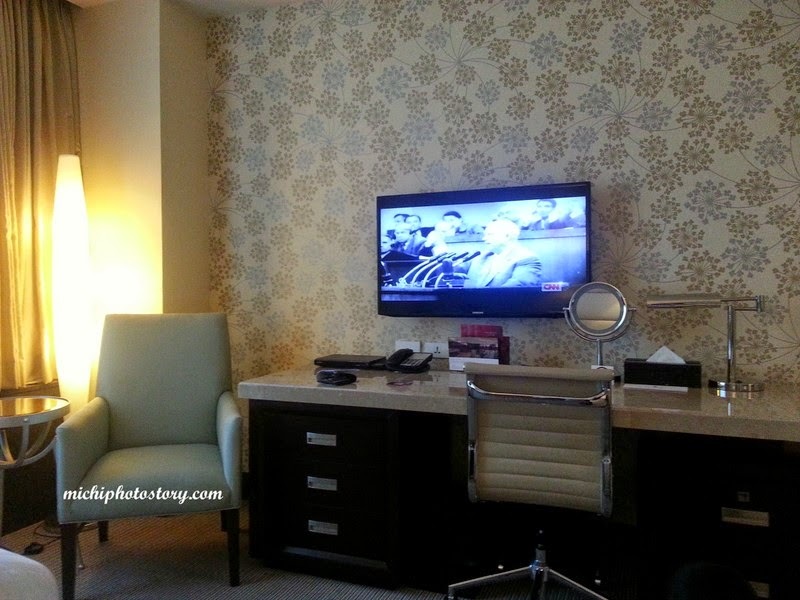 Sharing with you the photos of the room. 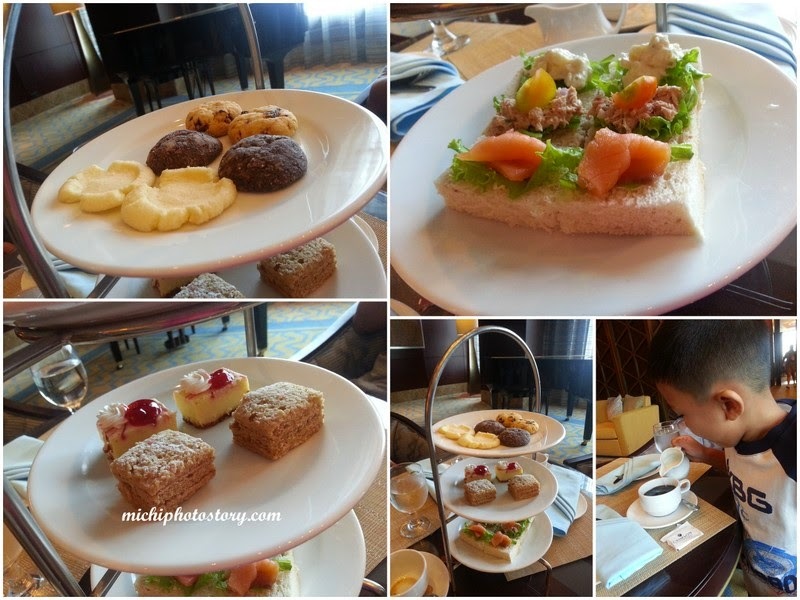 We stayed in our rooms while waiting for the Afternoon Tea Time which is 3PM, it is included in our package. We’re excited because this was our first Tea Time experience. Lakas makasosyal. We were asked if we want coffee or tea and after twenty minutes they served the three tiered stand of cookies, pastries and sandwiches. Then we went back to our room because my son wanted to swim. 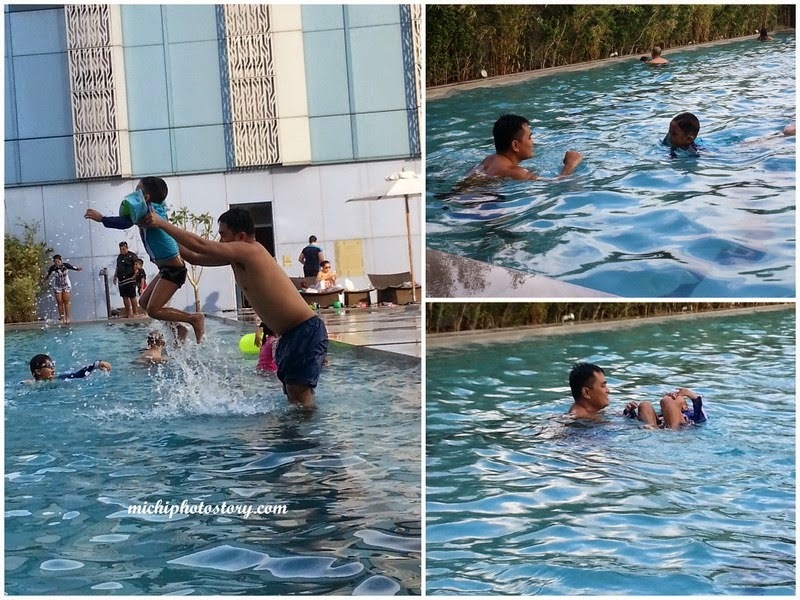 It was long weekend so the pool was already crowded. Good thing that hey have big pool but it was hard for me to look for vacant chair. Yes, as in sa chair ng bar na lang ko nakaupo while holding the towel and other stuff. 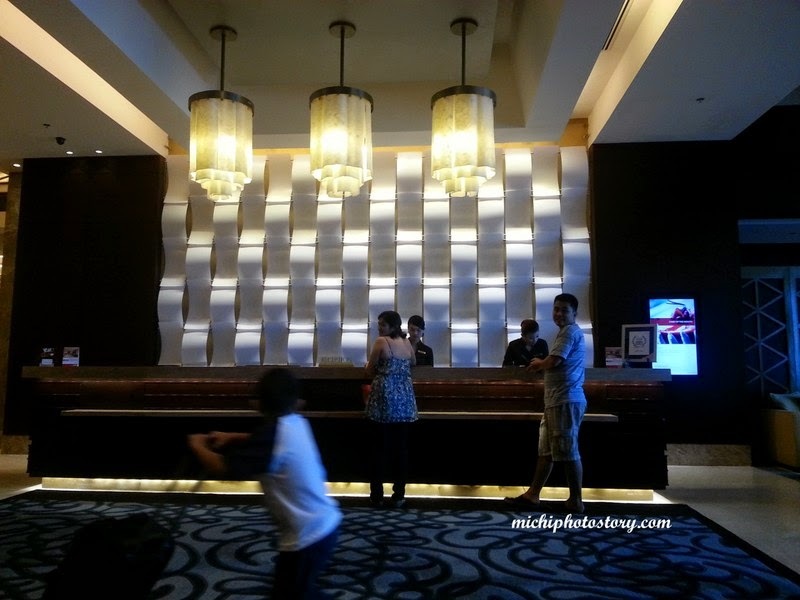 We went back to our room to prepare for our buffet dinner at Cafe Eight. They have promo for birthday celebrant, oh yes, I have free dinner. Good thing I have my ID with me that includes my birthday. My son is only 5 years old so he is still free. 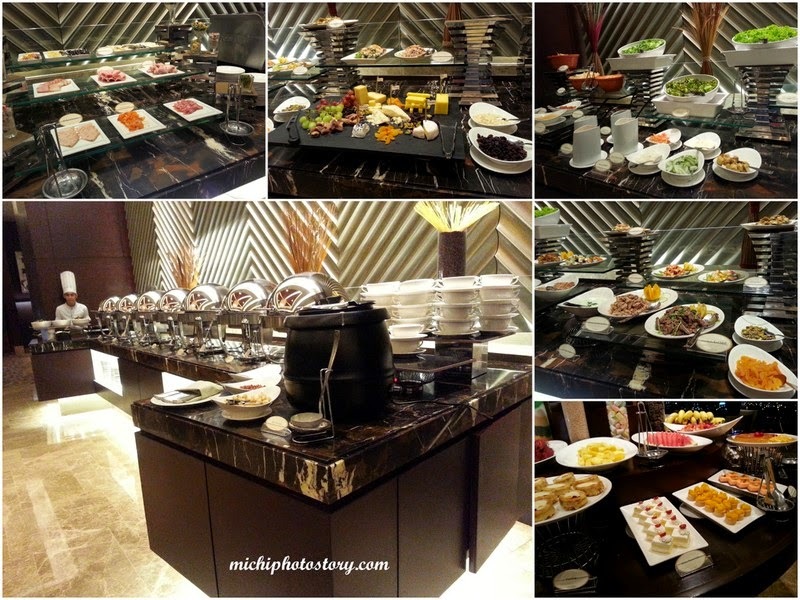 This was my first buffet dinner in a hotel so I was really excited but when I entered the almost empty restaurant, I felt so sad because the food selections are very limited. I was checking the food station, I think they only have four or five stations and I was really disappointed. 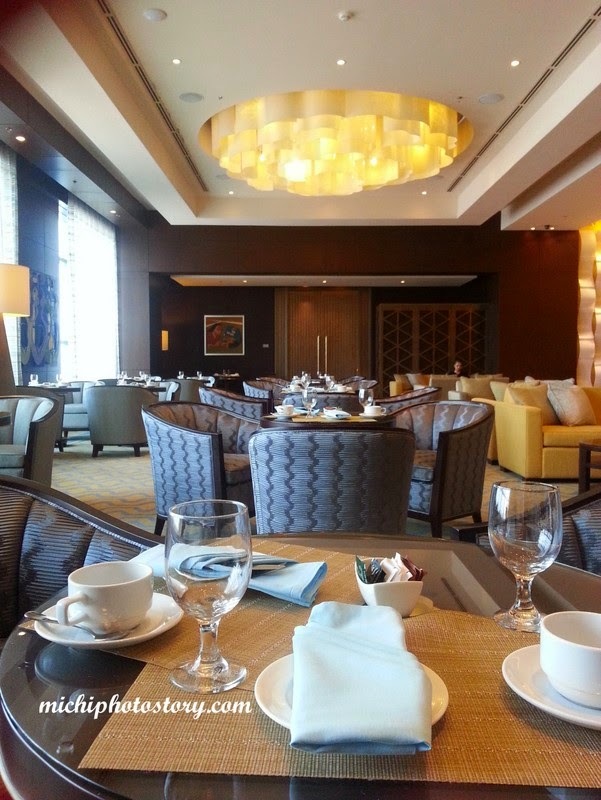 I’ve tried buffet lunch and dinner in several restaurants, you can check it here and buffet lunch in other hotels like Acaci and Tides so I have high expectations because I know that dinner is more special. Sabi nga ni William Shakespeare, “Expectation is the root of all heartache”. Hehehe! Imagine, natikman lahat ni hubby ang lahat ng ulam, first time yun ha. Good thing I will only pay P1500 for my husband and free kami. My plate. Buti na lang may salmon. I love my mango crepe. The carving station has only roast beef and the beef was dry. I was expecting for seafood station but there was none. 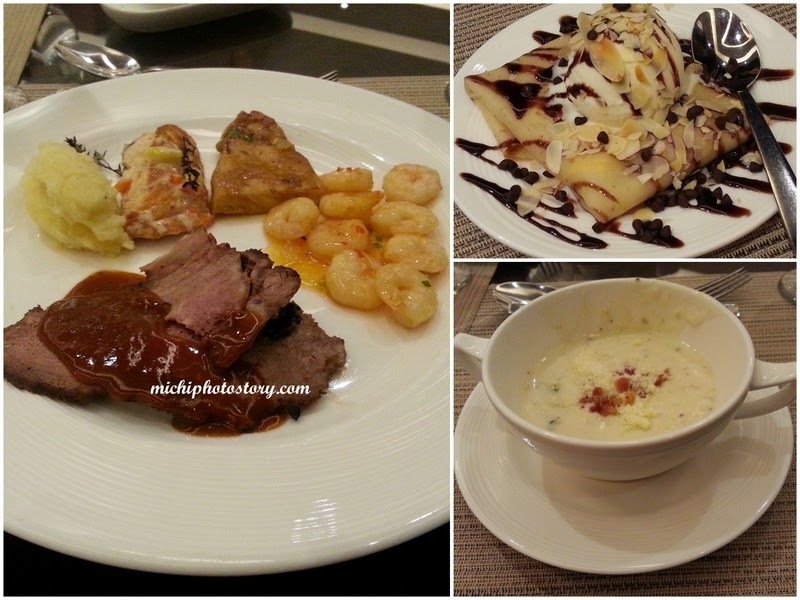 I was not impressed with buffet spread, the food is not bad but there is nothing special. Of course the service is very good. It is one thing that you will not experience in buffet restaurants. Hubby and son enjoyed the birthday cake. Masarap daw. After dinner, the server informed me to wait for my birthday cake. He sang “Happy Birthday” while giving me the cake. Bawi na sila dun, first time experience ko yun e. Hahaha! My plate, omelet was not in the picture. I love the walnut twist bread. After Tea Time and buffet dinner, we still have buffet breakfast. I was not expecting anymore because of our buffet dinner experience but it turned out na mas nabusog ako sa breakfast. 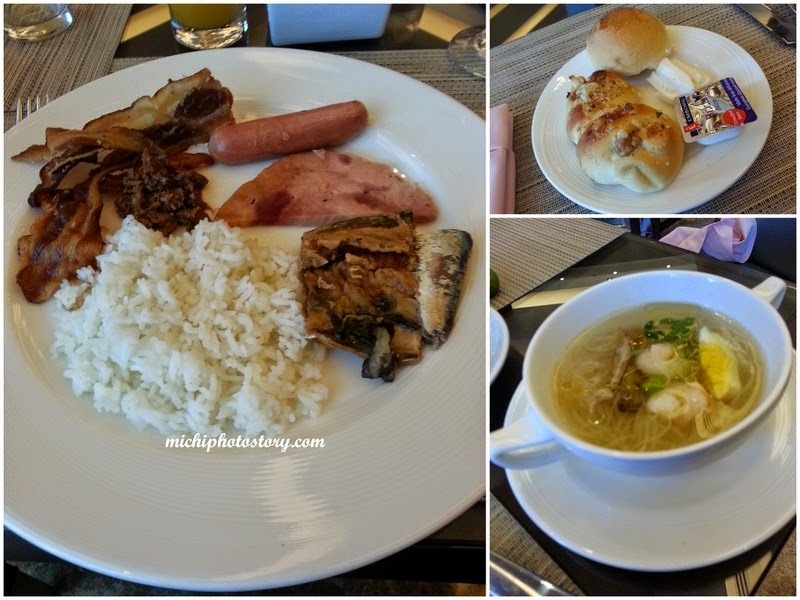 I enjoyed it because all my favorite in a breakfast meal was there like bacon, ham, sausage and daing na bangus. 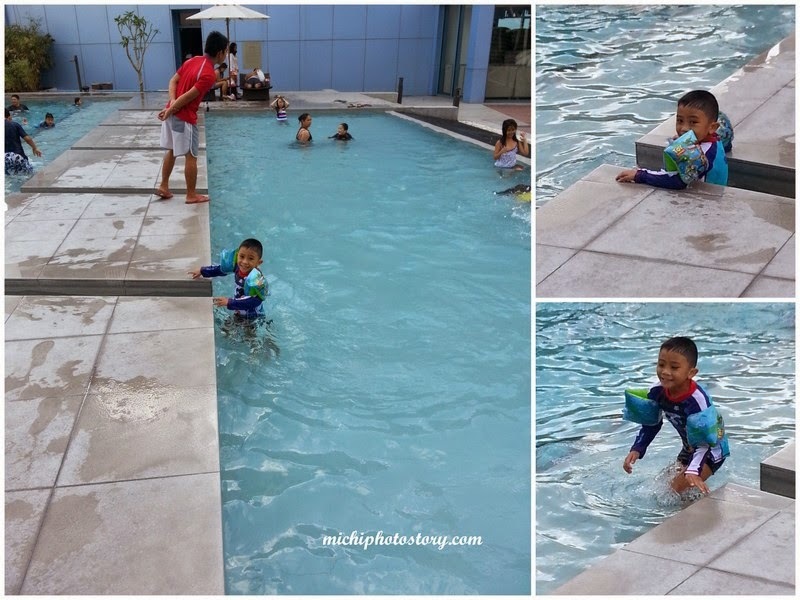 My son had a last minute swimming before we went home. 1. Service is very good. 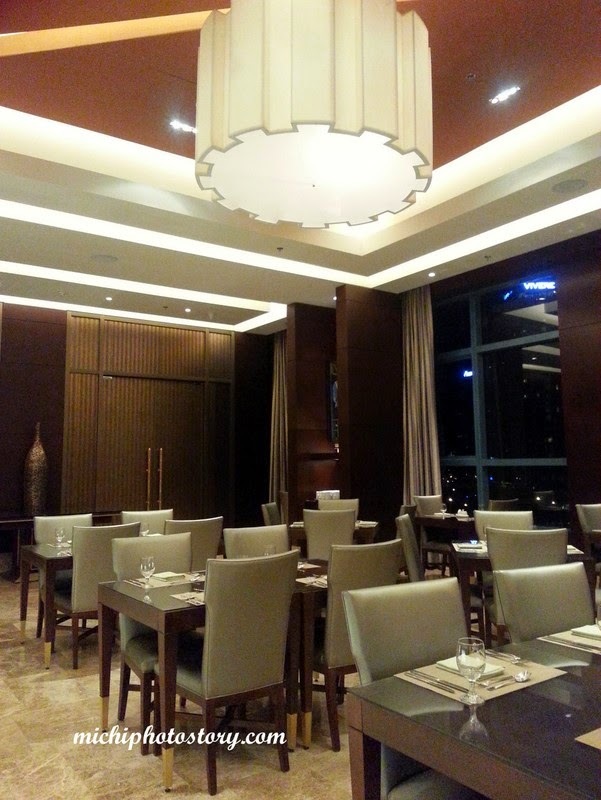 The staffs are approachable, friendly and there’s always smile in their face. 2. I love the pillows, bed and comforter. 3. 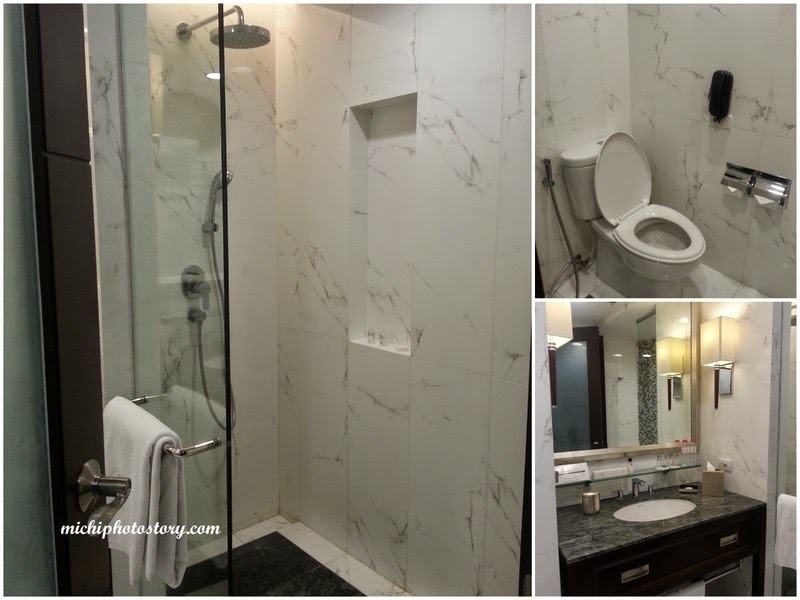 There is bidet and phone at the toilet. 4. Swimming pool is big. 5. I love that they have promo for birthday celebrant. I got free dinner and birthday cake. 6. I like the afternoon tea time. 2. No laundry bag, I always bring laundry bag every time we travel but because of my last minute packing, I left it a home. 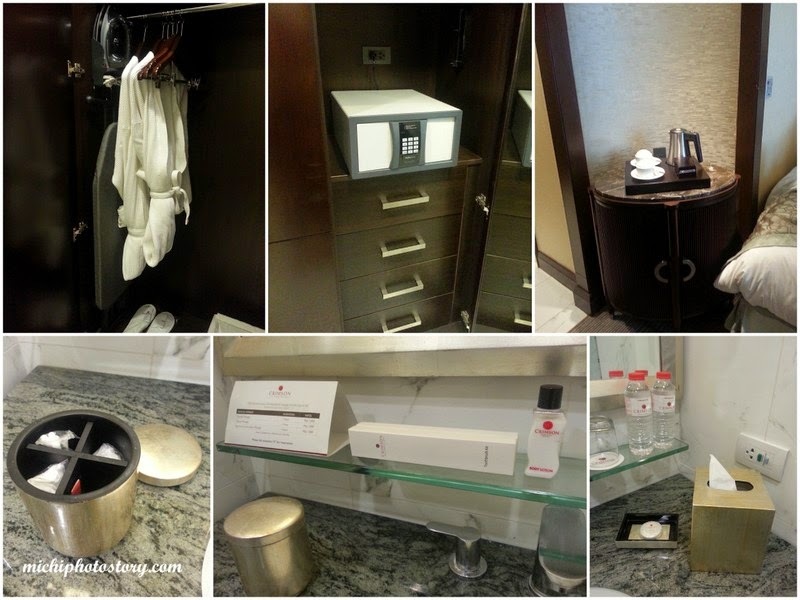 I was confident that Crimson Hotel has laundry bag like other hotels but I was wrong because they only have laundry basket. 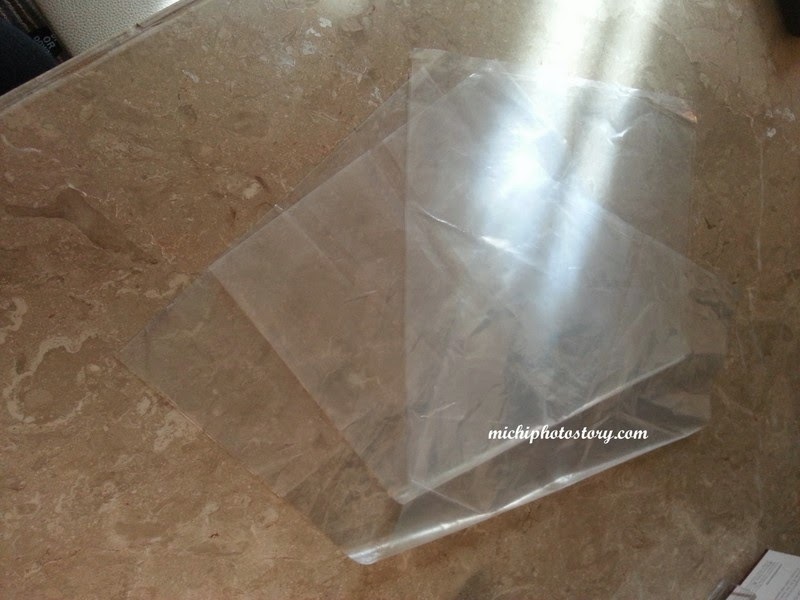 We called to ask if they have laundry bag and they gave us this. Just good enough for the wet clothes. 3. The buffet price is not cheap so I hope they will improve on their buffet spread. 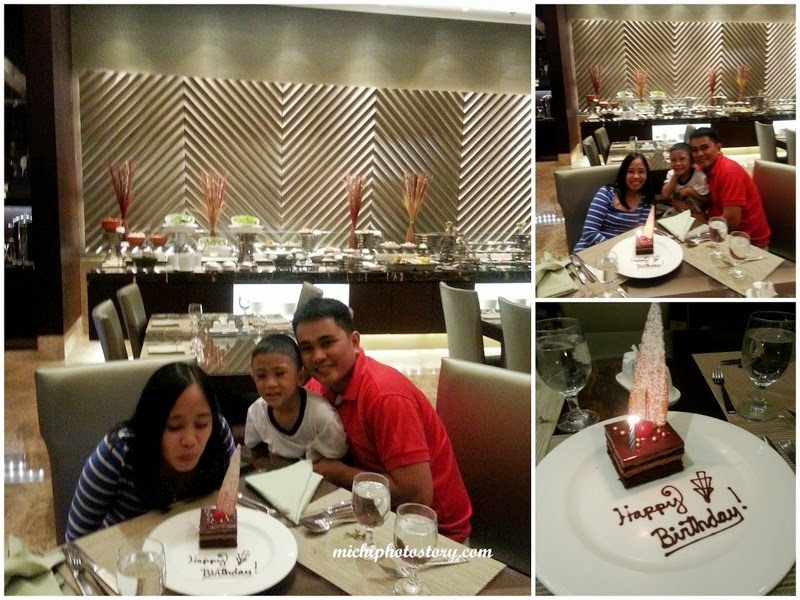 We celebrated our birthdays in other hotels but this was the first time that we received free dinner and cake. 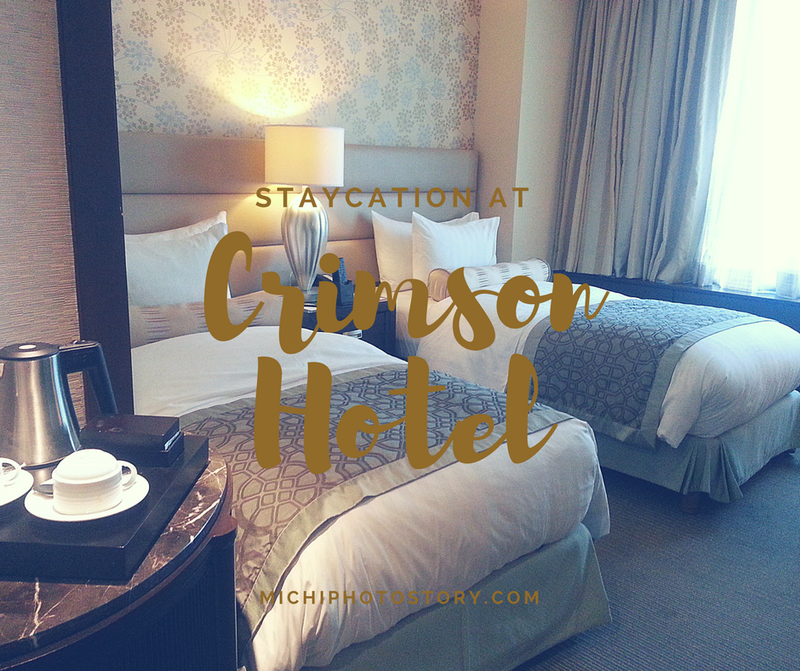 We really had a great time in Crimson Hotel. I’ve first learned about California Pizza Kitchen when HSBC had a promo but since Alabang Town Center is far from where I live and I don’t know if their pizza is yummy, I did not redeem the free pizza using my credit card slip. Every time we go to Alabang Town Center I always see this restaurant but it was only last Sunday that we tried this restaurant after my labtest in Healthway. Since it was our first time we just availed the P999 promo + P120 for 1 pitcher of iced tea. 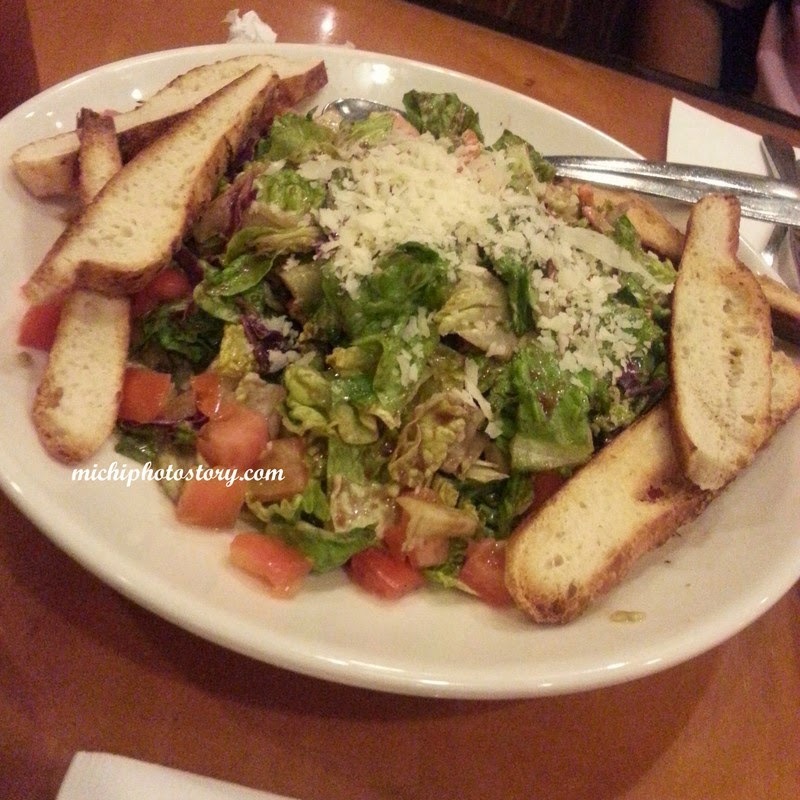 The promo includes your choice of salad, pasta and pizza. The meal is good for 3 to 4 persons. 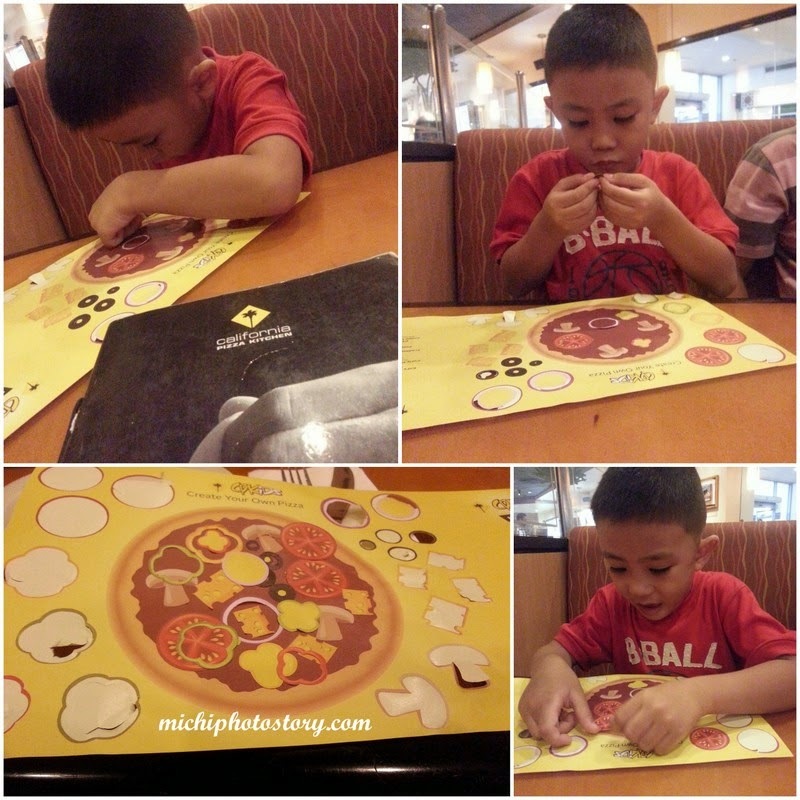 While waiting for the order, my son was preoccupied with “Create your Own Pizza” activity. 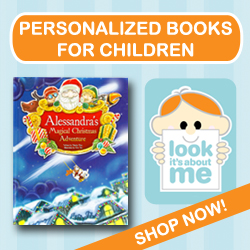 The activity is nice because it is not the usual coloring activity. He took it home and asked me to cut the pizza. Hehehe! Since I don’t eat salad, my husband ate everything. 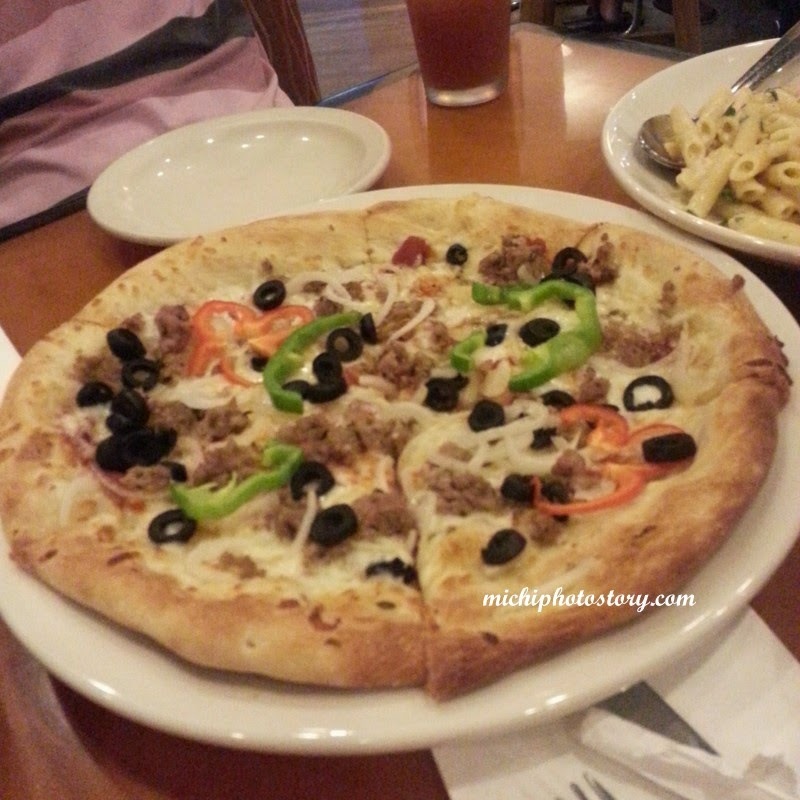 I tasted the pizza and pasta and bigla ko nanghinayang. 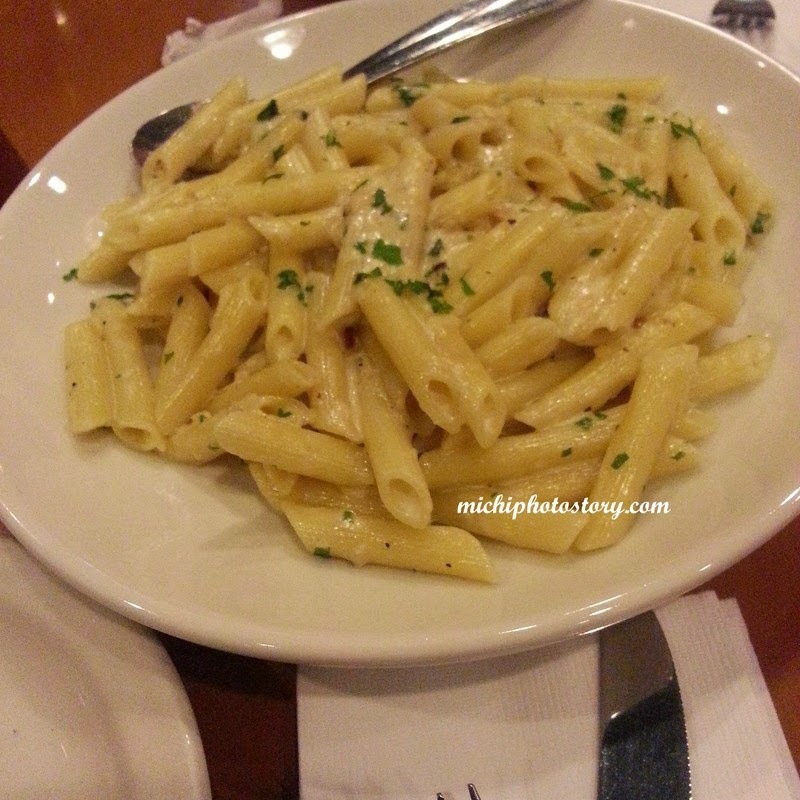 Masarap pala food sa CPK. Waah, I should redeemed the free pizza. 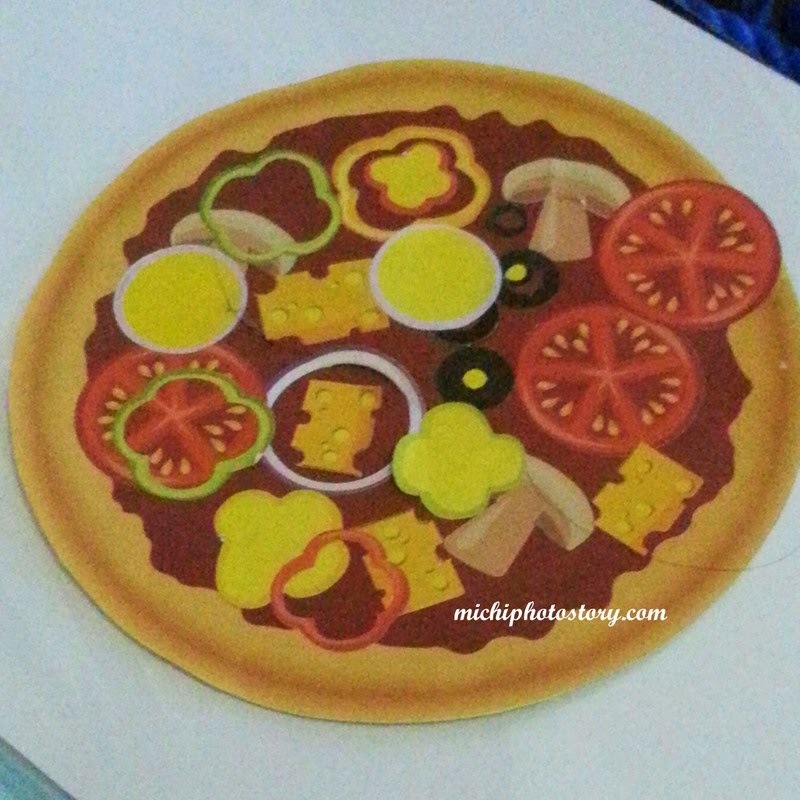 I don't eat olives but I enjoyed the olives of this pizza, wala after taste. I could say that the P999 promo is worth it. 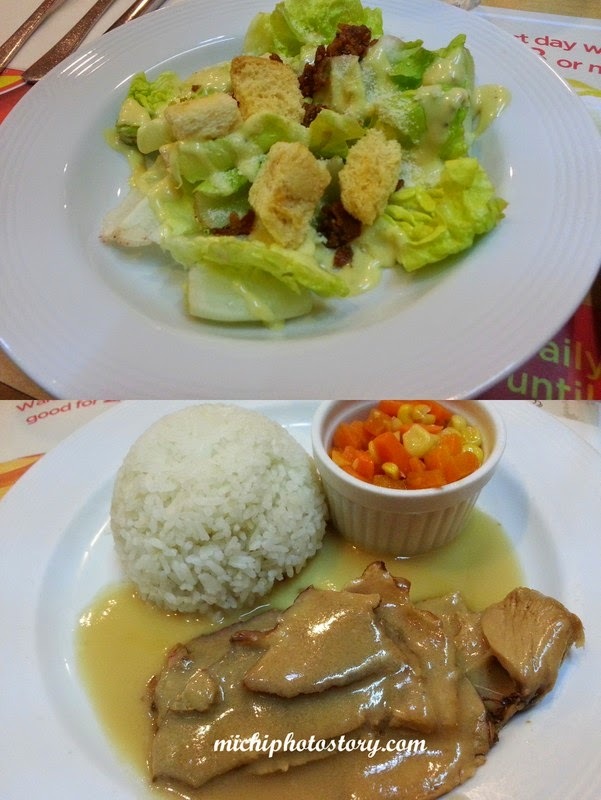 Even though I have some not so good experience when it comes to food and service in Pancake House restaurant, I do give chances so I still eat in this restaurant. I shared it before my not so good experience in their Boracay branch and would you believe it happened again in Festival Mall branch. I ordered the same meal which is Hot Roast Beef and same experience, ang tigas ng kanin and even I informed the staff about it, mukhang nireheat lang ang rice sa oven. So I did not eat the rice anymore. I was thinking na pag dinner, do not order any rice meal. Well, my husband and son were satisified with their order. 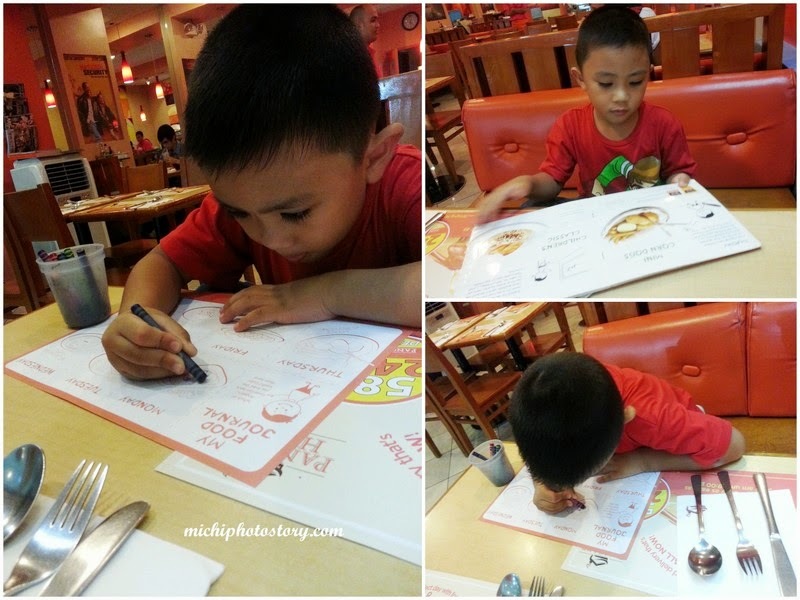 What I like in Pancake House, they give activity sheet and crayons so my son has something to do while waiting for the order. 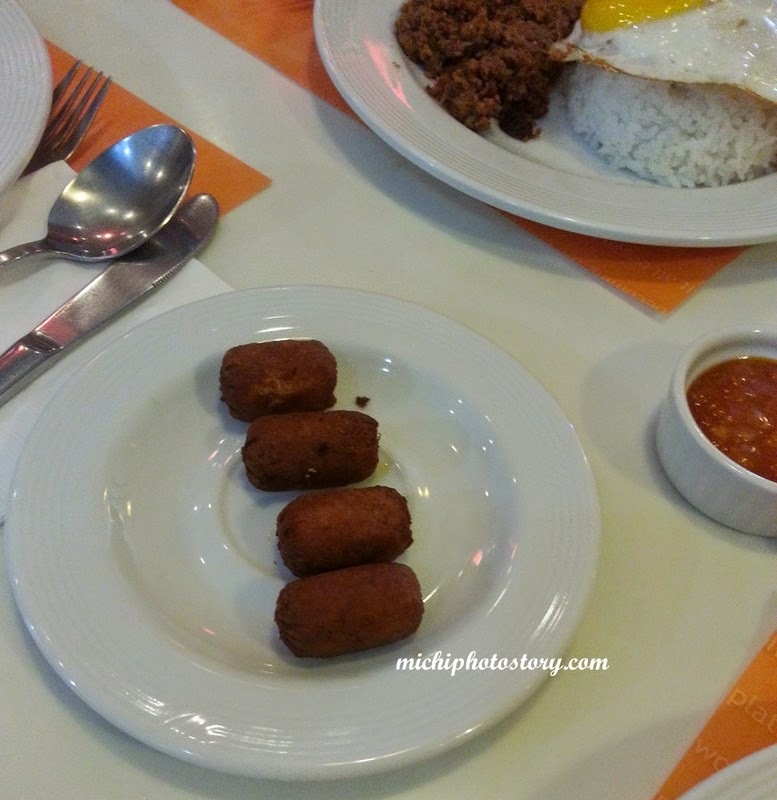 Well, this happened November 2013 so after several months we tried this restaurant again and hoping na ok na. Two weeks ago after my check-up in New Sinai, we went to SM Sta Rosa to eat lunch. 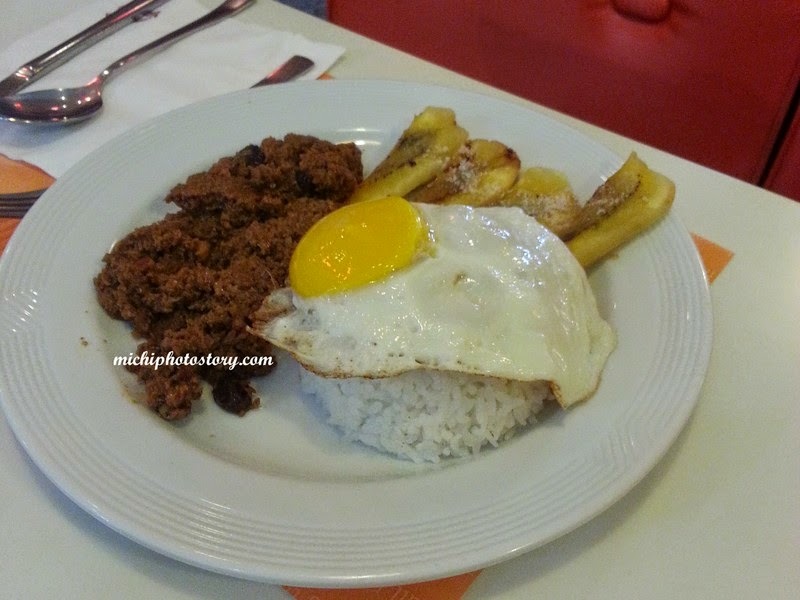 We ordered Pork Vienna and because my son wanted fried egg, my husband ordered Arroz a la Cubana. 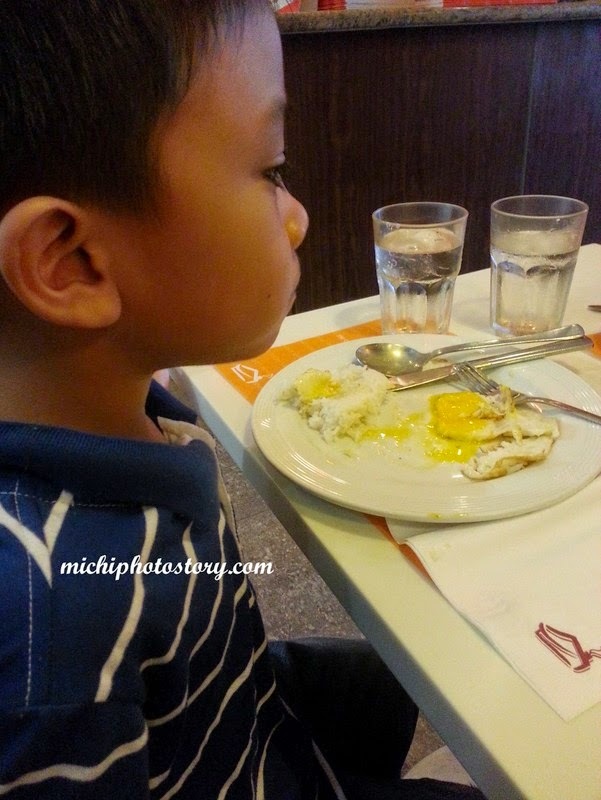 Nag Pancake House kami para sa egg, hehehe!. My husband said, I should try the Country Sausage because it is delicious. #promise He ordered and I was shocked sa sobrang liit and for me, ok lang lasa. Naovercooked lang daw sabi ni hubby. 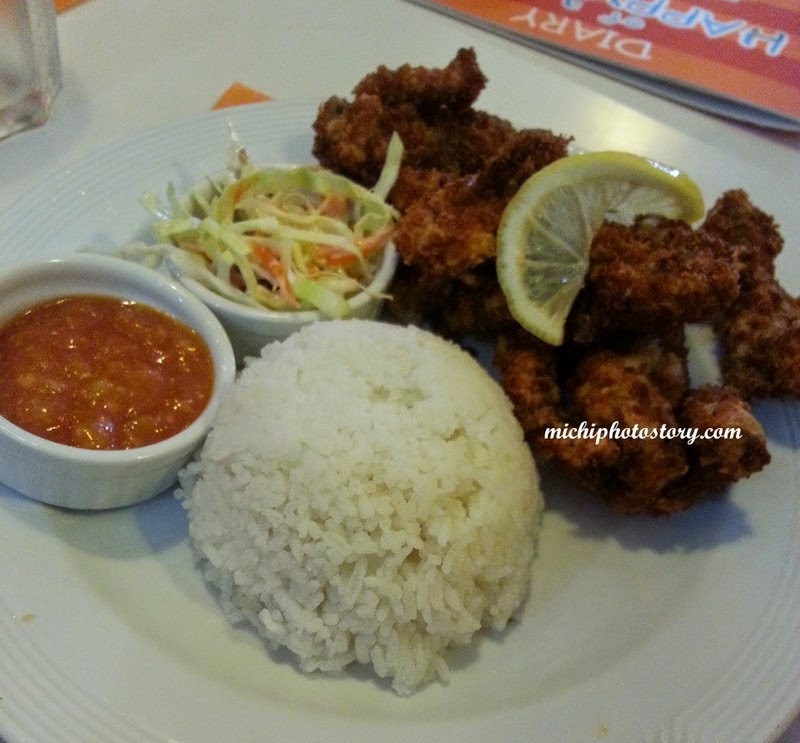 But I think this is not worth it for P100+. 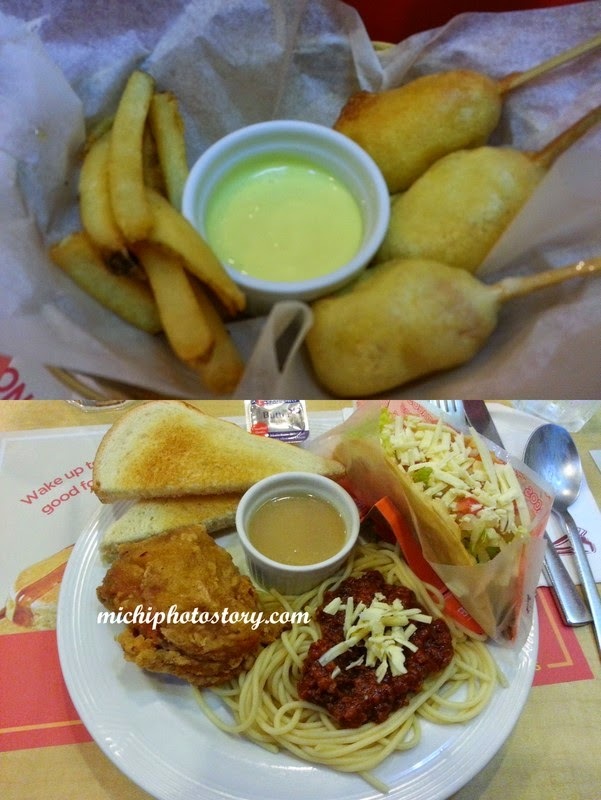 Can you suggest any meal that I should order in Pancake House? How Forex Advantageous to Those Who Wants to Earn? In times of difficulties, practically, money is one of the most important things people must have. Thus, people work and even look for other ways to earn extra. 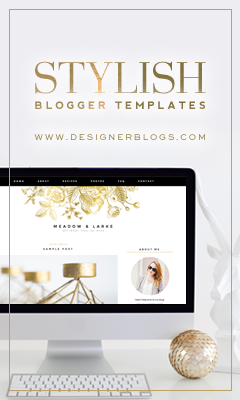 They tend to look for a business that could give them money in an instant in less hassle. However, not everyone seems to find the right business for them. In choosing a business for earning extra income, there are a lot of opportunities available. However, it depends on one’s interest. Since businesses come in different industries, people must know first if what particular line of business they want to have. In this way, they can definitely make money of it. Going back, when it comes to earning in instant in less hassle, it’s quite difficult to find the right business indeed. However, there are businesses have this feature and one of it is the trading industry. 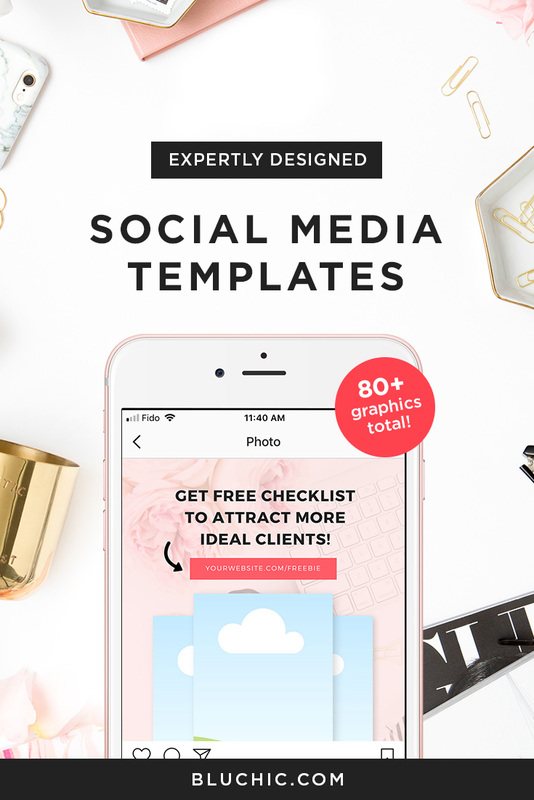 If you are a fan of trading such as forex, well then, these businesses you should give a try to instead especially that it can be done at home even if you work with other stuff. How advantageous forex trading to interested individuals are plenty. To know, the following are some of it and why people try their luck to it. Among other businesses that can be invested, forex trading is one of the businesses that offer less hassle way of earning especially today that trading can be done at home. Convenience is served definitely! 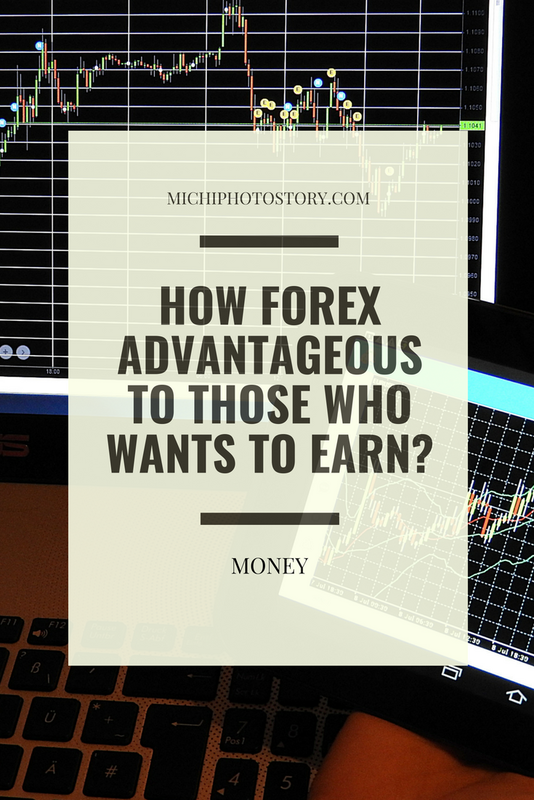 If you have an effective strategy in doing trading, applying it to forex may lead you to earn extra in less hassle indeed! That’s one of the factors why people go for forex trading despite its risks. If convenience is what you look for to a business as your sideline, forex is definitely a good choice to have. If you opt to trade today, you have the option to trade later or the next day. Plus, you can do it anywhere, anytime you like it as long as you are connected to the internet. Unlike other businesses that one can invest to, aside from less hassle, earning in instant, and convenience, investing at it doesn’t require you to spend much! For as low as $100 as your startup capital, you can initially start your earning at forex right away. In investing at forex, you do not need to worry of where to invest as a lot of forex websites are available such as Varengold (click here to check the site https://www.varengoldbankfx.com/en/). 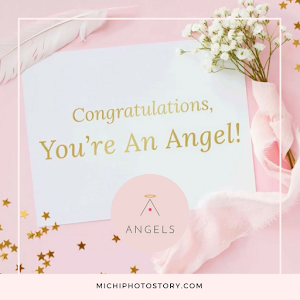 If you are new to the industry, that’s not a problem too as learning it is very easy with the help of the website itself to where you want to invest. There are other sources available as well on where you can learn and understand how forex trading works and how to avoid its risks. If you are still out of idea on where is the best to earn extra, never think twice but go in to forex trading right away! Last year I’ve mentioned in my Things to do in Singapore post that how I wish I could go back to Singapore and visit Universal Studio Singapore and Legoland Malaysia. I never thought that after one year this dream will happen. 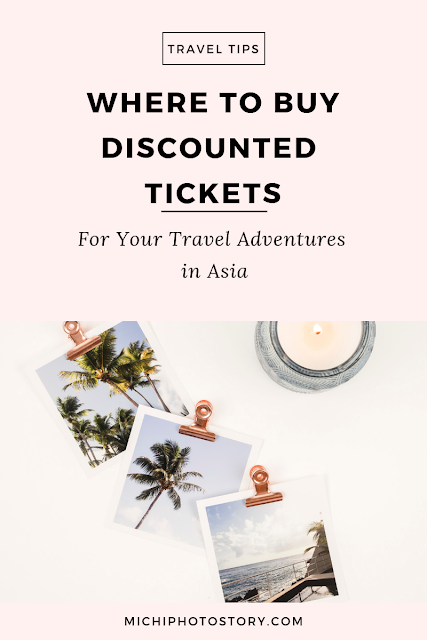 I already posted our Kuala Lumpur and Singapore trip but just in case you haven’t read it yet, I’ll be sharing to you our 6 days itinerary. Since we seldom go out of the country, I make sure to visit two countries in one trip if possible para tipid din sa travel tax. Hehehe! 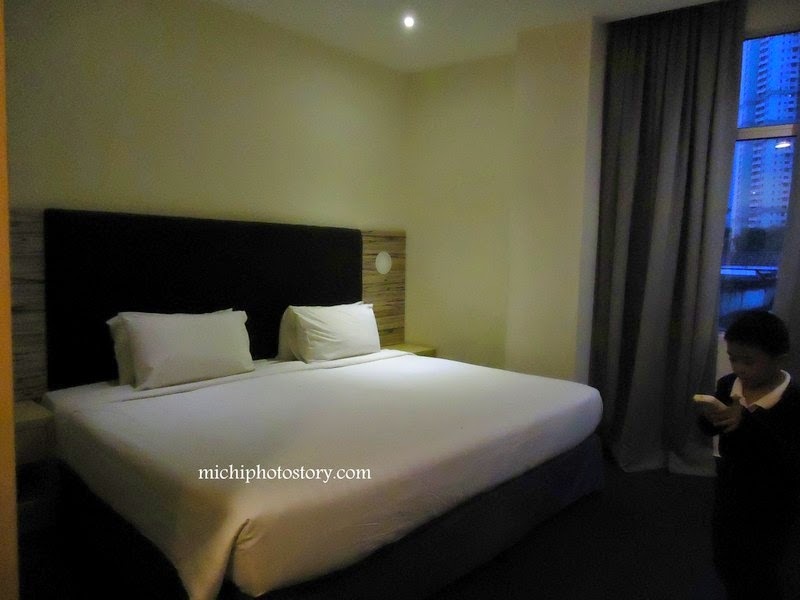 Our first leg is Kuala Lumpur, Malaysia via Cebu Pacific, we stayed in Sky Hotel Bukit Bintang, a quite new hotel in Bukit Bintang which is walking distance to shopping areas and Petronas Twin Towers. 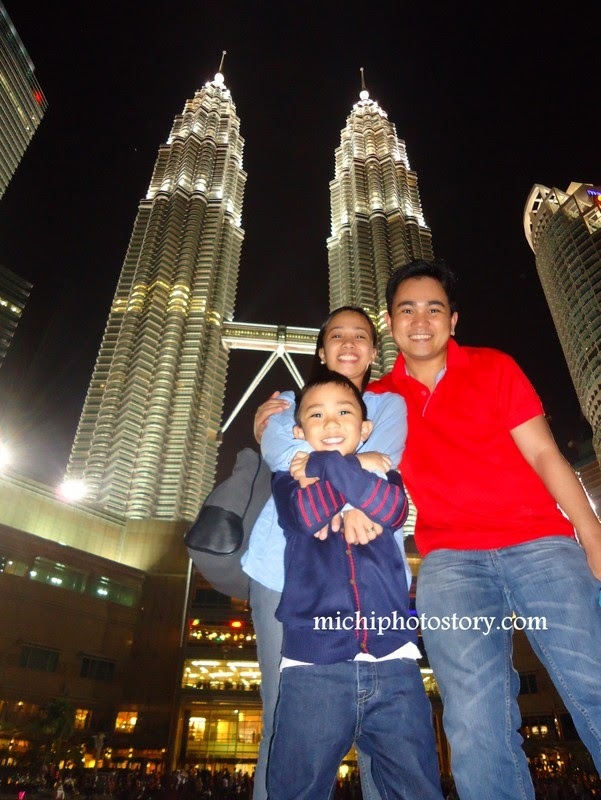 We reached the hotel past 7PM so we had dinner first and went to Petronas Twin Towers. 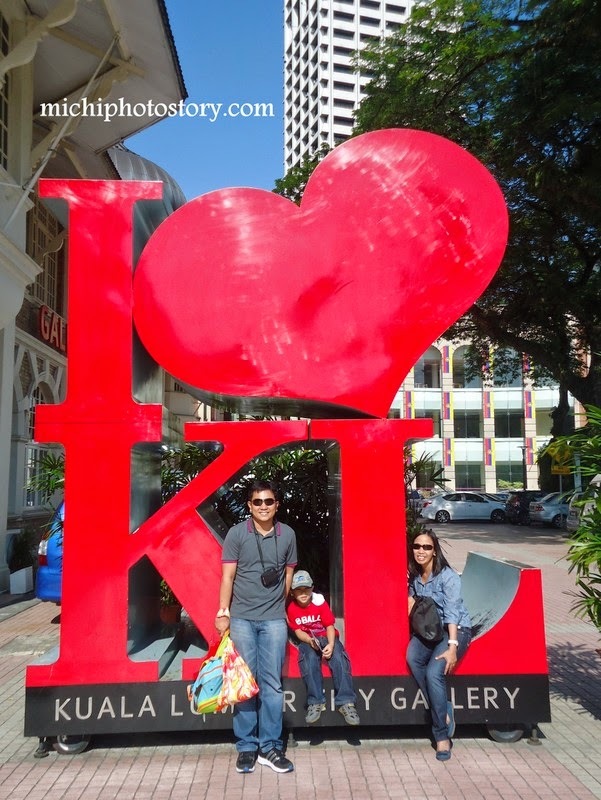 Our second day was Half Day Kuala Lumpur City Tour, we’re supposed to go to Batu Caves after lunch but my son was not in the mood already so we went back to the hotel. 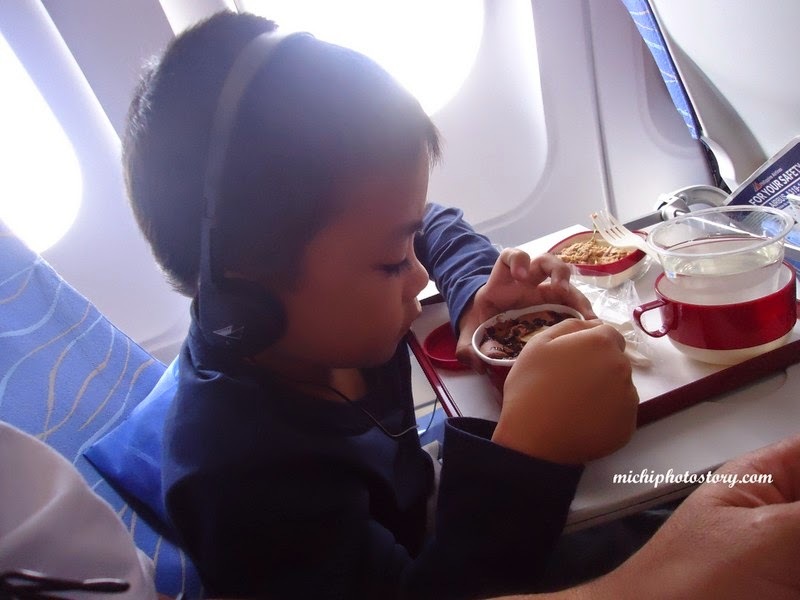 We checked out early for our Kuala Lumpur to Singapore flight via Air Asia, I chose plane over bus because I dislike long land travel. 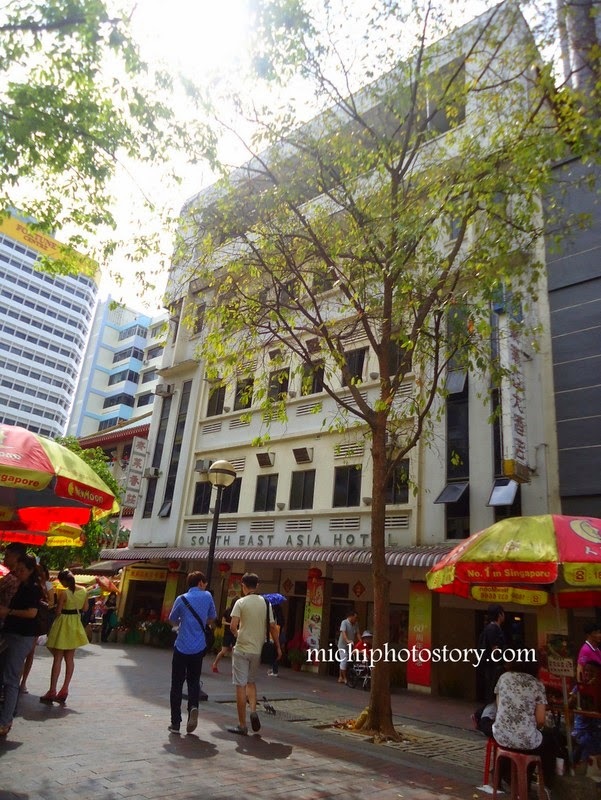 After one hour we reached Singapore, we had lunch at the airport and off we went to South East Asia Hotel, our accommodation for three nights. We took rest for an hour and we started our DIY City Tour. 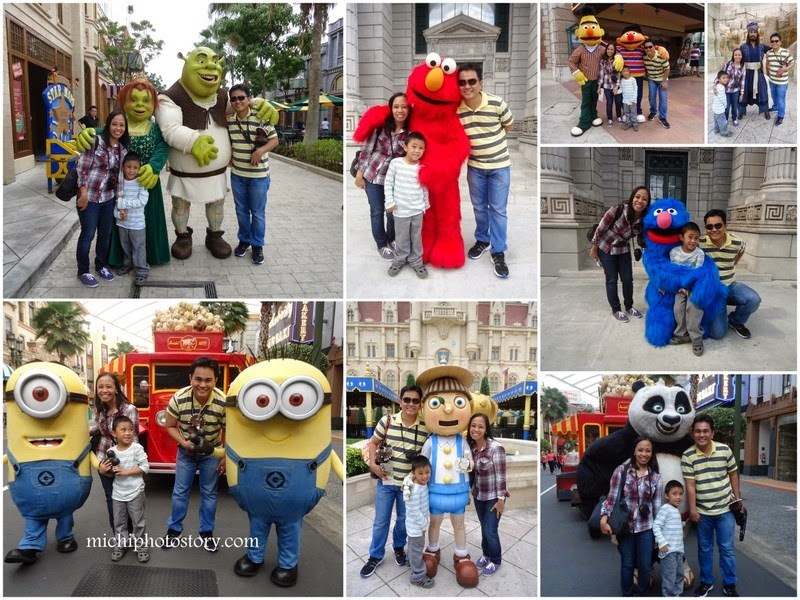 Our wedding anniversary day and we celebrated it in Universal Studio Singapore. 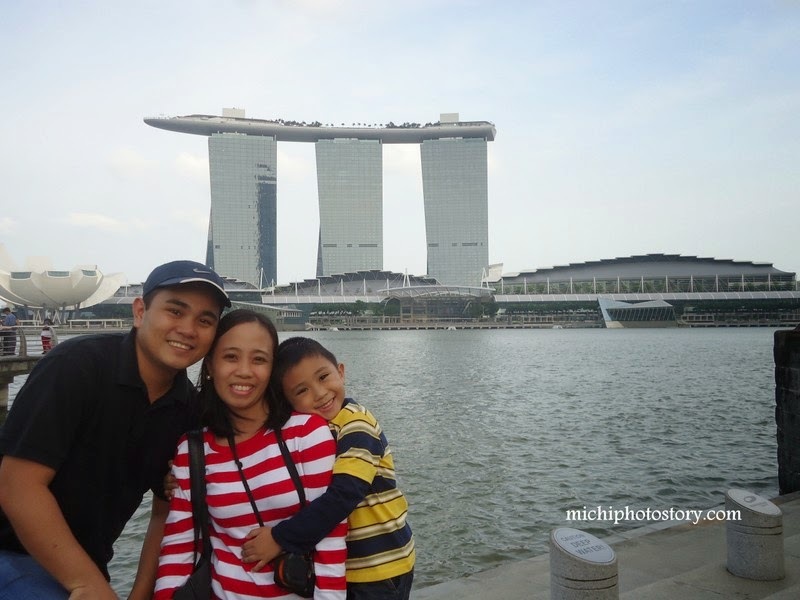 Day 5 is reserved for another theme park which is Legoland Malaysia, we took bus from Singapore Flyer. Day 6, we still have a half day to stroll or shop but we decided to stay in the hotel to rest our aching feet. After check-out, we went to Changi Airport for our afternoon flight via PAL.